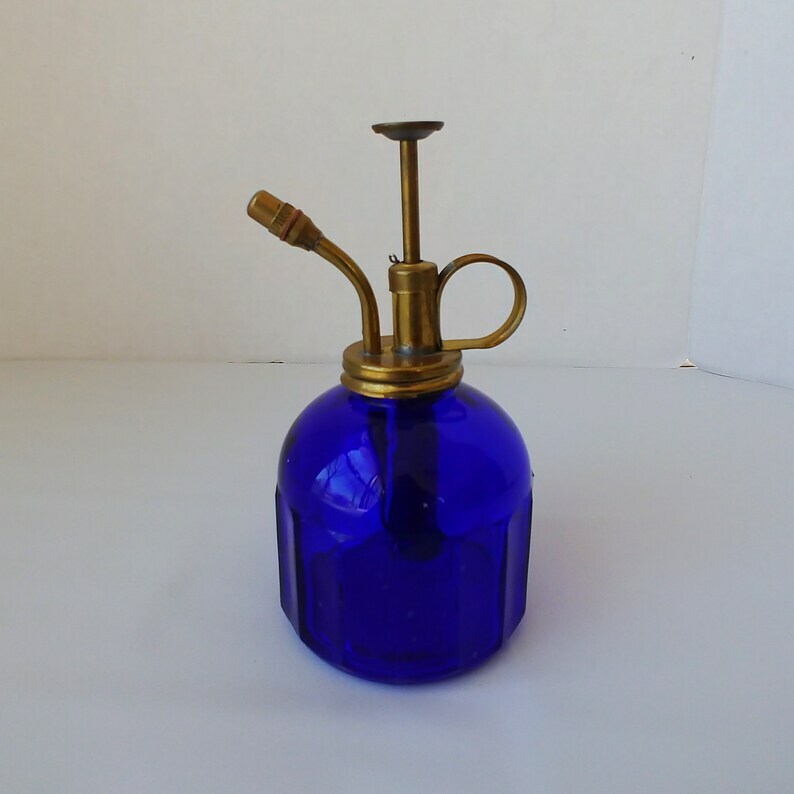 This listing is for a beautiful blue glass plant watering mister with a brass lid, pump and sprayer. 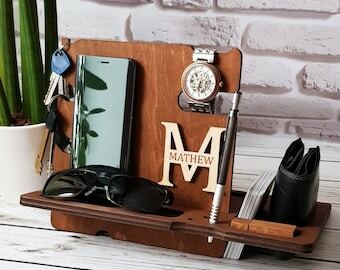 The mister stands 6 inches tall and the decorative glass base is 3 inches wide. CONDITION: This mister has aged well and is still in great condition. There is a tiny, pin-head-sized chip on the top curve of the bottle and minor imperfections in the glass (bubbles). The brass pump works properly.